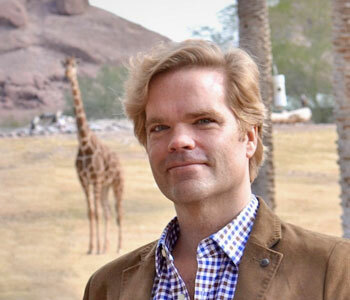 The Fall of the Wild is a book about the ethical challenges of conservation in a time of accelerating wildlife losses and growing scientific and technological power. In an age of extinction, biodiversity scientists and wildlife advocates have sought to curb species declines and extinctions via a range of scientific and policy strategies, from the traditional (regulations, referenda, and refuges) to the novel (the scientific wizardry of genetic engineering). The more ambitious and aggressive conservation approaches, however, raise thorny questions about the ethical consequences of our expanding incursions in wild populations and places. Can we, for example, uphold our responsibilities to protect wild species while at the same time avoid taking too heavy a hand in these efforts? How do we balance our desire to “do whatever it takes” to save species headed toward extinction while still preserving a meaningful understanding of the wild as something we don’t design and control? In the book, I argue that the tension between these two impulses ripples through a wide range of conservation questions and challenges, from the field, to the zoo, to the lab. Centered on a series of iconic episodes of species extinctions (from the great auk to the Tasmanian tiger), the book makes the case that some of our more heroic efforts to study, restore, and conserve species actually pose a threat to the ideal of preserving a wild nature that isn’t completely under the human thumb. From collecting wildlife specimens for museums and the wilderness aspirations of zoos, to the high-tech attempt to “revive” long-extinct species using cutting-edge biological and engineering techniques, the book explores the science and ethics of conservation in a time of increasing societal concern, scientific acumen, and ecological impact. 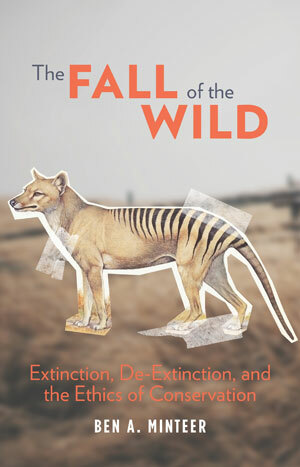 The Fall of the Wild should therefore be read as an accessible and informed overview of some of the moral dilemmas gripping our efforts to save wild species today, as well as a guide to long-running and emerging conservation practices and debates that have shaped the human-nature relationship in the modern era.